Many of us have learnt that Hamburg is a Hanseatic City, we know that it is the second-largest city of Germany and Europe’s second-largest port, and lots of us may know why its airport was named after Helmut Schmidt, the German chancellor between 1974 – 1982, but who have heard about the Deutsches Elektronen-Synchrotron /DESY/ or The European X-Ray Free-Electron Laser /European XFEL/? Not too many tourists of Hamburg would answer, I guess, but many scientist worldwide, for sure. And some lucky science journalists, like me! On behalf of this Research Centre belonging to the Helmholtz Association, Dr. Thomas Zoufal, Press Officer at DESY and Rosemary Wilson from Press & Public Relations European XFEL GmbH, sent the invitation for a 2days study trip to EUSJA, our Viola Egikova immediately spread the news and I was very happy to get this possibility. However, to enjoy the lectures or to tell about our amazing experience there, is not the same. It was very good to listen to the talks delivered by excellent and enthusiastic scientists, but what to share with the readers, how to write it without false simplification but understandably for the majority of the readers? Without solid base in different areas of physics, it is too big challenge. So I turned for help to Dr. Thomas Zoufal to our host at the DESY and the organizer of our program. Please, do you feel the importance of your position? You work for both your colleagues, the researchers AND for every people interested in discoveries. As for our scientists, it is the passion for science that drives me, not any “importance” of any position. When I studied physics, I came to DESY for my diploma and later PhD thesis. The spirit here was amazing and when I got the opportunity to give tours of DESY and to explain visitors what we do here, I somehow got stuck. Nevertheless, I think it is important to explain to the public what we do, especially because we are funded publicly. What was the reason to offer this exceptional possibility for the members of EUSJA just right now? Well, I wanted to do it much earlier (I first met Viola Egikova, EUSJA Board representative, in 2014), during the construction phase of European XFEL. To see an accelerator being constructed is even more impressive than seeing it hanging in a tunnel. 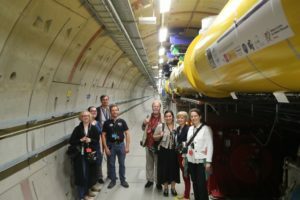 However, the schedules at European XFEL were shifting on a week-to-week basis, so we were not able to fix a date for a visit with 100% certainty that we could offer you an interesting visit. So, the time of your visit was somehow by chance. In general, the “currency” for a research centre like DESY is trust and truthfulness. This is why for us at DESY, it is important to not only communicate our research and results to the public directly, but to have it somehow reviewed and assessed in terms of relevance and truth. 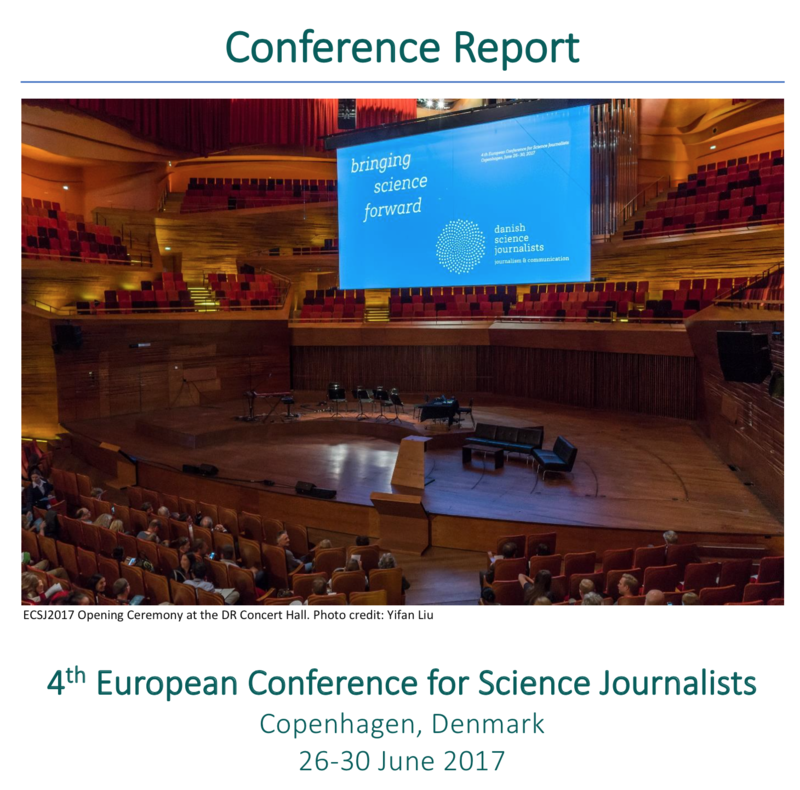 This is the task for science journalists like you and your colleagues organized in EUSJA. Are this type of visits regular in case of a new working installation? We wanted to offer you a visit, which is interesting from the optical as well as from the intellectual point of view. The construction or the start of operation of the European XFEL was such an occasion. It was also an example how persistent strategic one has to be to invent such a new type of research instrument. The DESY Directorate decided in 1990 to start R&D work towards an X-ray laser, and we showed the proof of principle for the X-ray lasing process at our FLASH facility in 2000. So when the European XFEL started user operation in 2017, it was the climax of more than 25 years of empathic research and development. So you see, the occasion for the visit was outstanding. We won´t do that every two years … However, journalists are always very welcome to visit DESY. What do you expect from us, your present EUSJA visitors? Of course, we are happy to see articles or news stories about us and our research in magazines and newspapers around the world. But I didn´t have any concrete expectations. My focus was to bring our research to your awareness and to start a discourse about sense and relevance. Our educational background that could help to understand – follow the presented topics at DESY and our jobs as science journalist were at different level. Is it a common among your visiting journalists? Is it frequent that they ask for your help? Well, our research is very specialized and often quite far away from normal day´s life. Believe me, we are aware of that. So our approach is to help the journalists as far as we can to understand and to be able to evaluate what we are doing here. In the case of your visit, this was too demanding for us, because we had to serve you with one joint program without any chance of individualization.When single journalists visits us, we prepare an individual program meeting the demands and try to account for the journalist’ scientific background. How did you organize the program and the order of the talks? What were the main points? In the original version of our program the order was: 1 day DESY and its research, 1 day European XFEL and its research. We wanted to provide a convenient mix of talks and visits during both days. Due to a shift in the European XFEL shutdown schedule and a big workshop at DESY, we had to shuffle everything. This was a mess for us and for you, too, I guess. Therefore, the order of the talks and visits were more or less randomly, but at least we managed to give the introductory talks before the visits. However, hearing a talk of DESY, then European XFEL and going back to DESY´s PETRA III again, before changing to European XFEL´s Schenefeld site, must have been confusing! However, the other option would have been to cancel the visit and start a new attempt in December, so we preferred to confuse you …. Do you know the general opinion of your researchers regarding the necessity of the articles published in newspapers following such a visit? Our researchers are very convinced and proud of what they are doing, so they are happy to read articles in newspapers or magazines. However, they are also realists and know that you science journalists don´t have the opportunity to write as many articles as you like (or at least you won´t sell them). For instance, one of our participating researchers told me: “We´re happy to see articles spreading the word about our research but this is not what we´re doing it for.” This is more or less the attitude of the most researchers here at DESY. Our lecturers seemed to be so enthusiastic in their research – which is very good, but is it a common phenomenon here that everybody is ready to explain details and takes the effort to find the best way to explain something not easily understandable for “outsiders”? For good research, you can benefit from a “critical mass” of knowledge, ideas and research disciplines. This is the same for explaining complicated stuff. DESY is not unique in the world, but one of the few labs, where research is done with such huge machines, and our scientists know the way how to introduce their work. Every 2 years we do have an Open Day when about 20 000 people enter the campus. You can imagine that their educational backgrounds are highly different. More than 1000 volunteers, many of them young or senior scientists, explain on that DESY DAY what we do, and why. We have started a series called “science on tap”, too, when our scientists explain their recent project in a pub. During these events – and from each other –, we learn which explanations are useful and which are not. I checked the home page of the DESY and European XFEL, and found it amazing, both their professionalism and the huge pile of information available. Who was involved in the work and its maintenance? I can only answer for DESY: Actually, our homepage is a huge construction site. It has come into years, but due to a lack of personal our relaunch is still not on the way. The content is produced by us at the PR department, for technical support we have a web office. What is the participation of the researchers in it? Do they inform you about achievements or you have to ask them? There is a broad range of participation. But more and more researchers inform us about their work because they see the nice articles and press releases in which this results. We are entering a phase where we get more information about research topics than we can process in news stories. I also read a bit about the “policy” of the institute to help the families of its employees – and I think it is useful and can help to keep the quality of work, there. It should be an excellent example for other institutes, too. Although DESY is a quite big institution, we traditionally feel like a big family, helping each other at work and – if needed – also in private. The only recently (perhaps a few years ago) formulated “policy guideline” is only manifesting this attitude. Just as before my departure from the DESY, I have to thank you again for these detailed answers, which may arise interest in some future visitors of Hamburg, especially, because the possibility for a short visit is possible for everybody above 16. 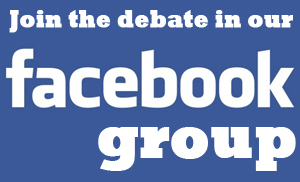 What would be your take-home message about DESY as it is for you? For me, DESY is like a big think tank where experts from different fields of research and engineering disciplines (and different nationalities, cultures and ethnic background) do research together. All of them are idealists with the goal in their minds to improve the world of tomorrow. They acknowledge the capability and skills of each other and join forces to conceive and bring to reality some of the most sophisticated experiments to draw the secrets of the nanoworld of nature. The interplay of accelerator research, photon science and particle physics at DESY as well as the close international cooperation with other labs are key ingredients for this success. On the other hand, such a big lab like DESY (we´re almost 60 years old) has the ability to trace long-term projects over years or even decades. The most recent one was the development of free-electron lasers, a type of research instrument, which scientists have dreamed of for years. The development started in the early 1990ies, more than 25 years ago. Today, the European XFEL is a perfect complement to our other instruments like PETRA and FLASH, and we will definitely invent new research techniques improving even these cutting-edge instruments. So a huge idealism for basic research, the ability of joining forces in big projects and the spirit of invention and believe in “we can do better” are somehow in the DNA of DESY people. 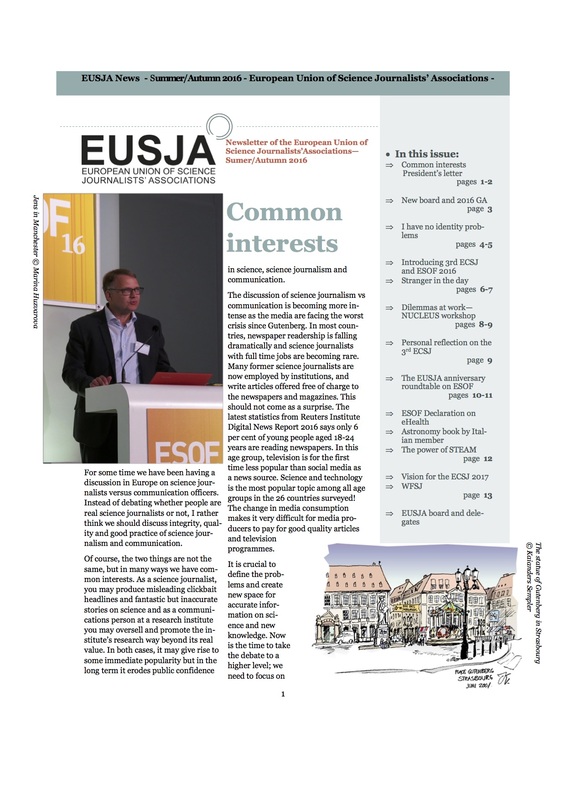 Thank you, Thomas, Rosemary, our Lecturers – and Viola on behalf of the EUSJA for this great experience!